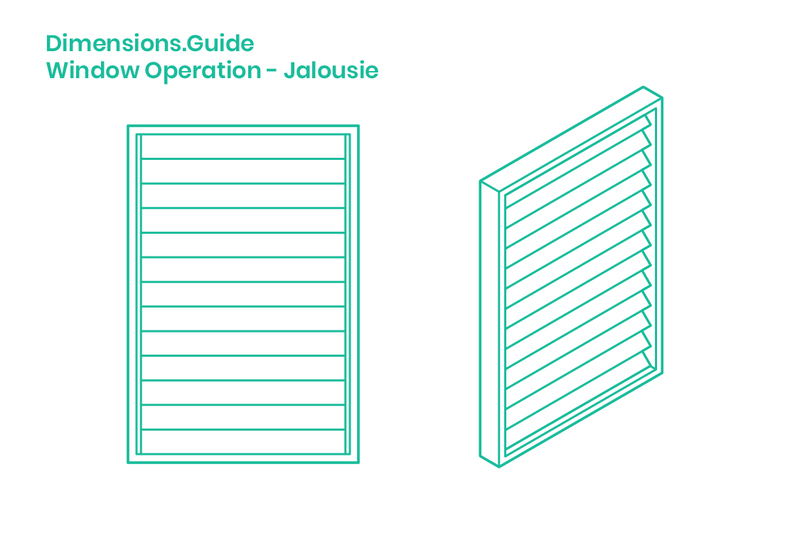 Jalousie windows, or louver/louvre windows, is a window type with horizontal louvers set in a common frame with a track that allows for the user to simultaneously pivot the louvers. Because of this control, the jalousie window type can flexibly adjust airflow, light, and privacy with ease. Louvered windows have been commonly used in mild climates where operability can provide desirable ventilation during sun, rain, and cooler months. Variations include the possibility to vary louver widths and materiality, and also whether the window is operable (jalousie) or fixed (louver).